Vine Spot recently saddled up and rode into the quaint and charming town of Middleburg, VA, a town well known for its small town atmosphere and character, as well its prime horse and fox-hunting competitions. Right outside of Middleburg, among eye-catching rolling hills dotted by picturesque horse farms and beautiful green landscapes, is where we find the Old Dominion’s top Chardonnay producer, Piedmont Vineyards and Winery, located in The Plains, Virginia. Piedmont Vineyards and Winery is situated upon the attractive and historic Waverly estate, which dates back to the 18th century. For nearly three decades of the property’s more recent history, it operated as a dairy farm. In 1973 a local horsewoman would change the fate of the dairy farm forever when she established Piedmont Vineyards. The horsewoman, Elizabeth Furness, a well-traveled and scholarly woman, is considered to be one of the early pioneers of Virginia’s wine resurgence. According to Piedmont’s winemaker John Fitter, Elizabeth Furness planted 15 acres of vines in her latter years consisting of Chardonnay, Seyval Blanc, and Semillon. Over the years, the Semillon died out and the Seyval Blanc was regrettably pulled up, but the Chardonnay, although lower in yield, is still producing great Chardonnay today. The efforts of Elizabeth Furness during an experimental time in Virginia viticulture inks her name in the pages of Virginia history as establishing the first commercial planting of a vitis vinifera variety in the Commonwealth. Because of her efforts, Piedmont Vineyards boasts the oldest Chardonnay vines in the state today and has won numerous awards under winemaker John Fitter and the quality of the mature fruit. In fact, Chardonnay is the focal point of Piedmont Vineyards and the only variety grown on the estate. Piedmont Vineyards, does however, produce a couple of nice reds and a few country wines, so let’s take a stroll into the tasting room and sample some of their wines. The attractive tasting room is housed in a renovated country stable that is spacious with ample seating and natural lighting. 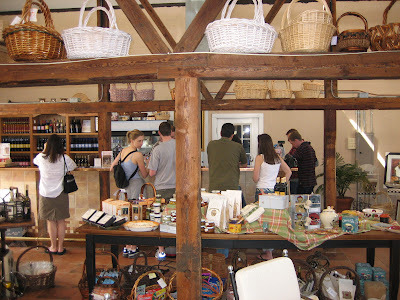 Throughout the tasting room you will find wine-based gifts, local spreads and dip, and handcrafted artisan jewelry. For the cooler months there is a warming fireplace and a cozy sectional sofa that makes a perfect place to enjoy light to gourmet fare and a glass of your favorite Piedmont wine. Are you ready to taste, friends? Piedmont offers two options for tastings; a $3 fee to sample any 4 wines, or a $6 fee to taste through all the wines, which usually amounts to 8-9 selections. Moving to their wines, in exceptional years you will want to try their Native Yeast Chardonnay. Currently, the 2005 vintage is in limited production and not available for tasting, but is an exceptional full bodied, creamy textured wine boasting tropical and subtle tree fruit flavors framed in a delightful vanilla laced toastiness. To my dismay, the Special Reserve Chardonnay made from the mature vines was not being tasted and there was no release date noted on this sumptuous wine. When available, I advise securing a few bottles as I did during my last visit. The Hunt Country Chardonnay 2005, done in stainless steel, is a fruit driven, clean and crisp wine with refreshing acidity and serves as a perfect spring and supper sipper. The Merlot 2004 is of a lighter style, indicative of the wet year, but all around a softer and gentler Merlot with nice subtle fruit characteristics. The 2004 is the perfect accompaniment to oily fish such as Salmon, since it won’t overwhelm the flavor of the fish. The Merlot 2005, the fuller of the two Merlots, offers red fruit, spice, and a nice integration of oak on the taste. Piedmont also produces two sweet and fruity country style wines made from homegrown raspberries and peaches – perfect for those long hot summers! For the sweet ending we will turn the sweetness up a notch. The Felicita, an ice styled dessert wine made from Vidal Blanc and Muscat grapes offers lush and rich tropical fruit flavors with citrus hints that, for me, would do well over vanilla bean ice cream! For an additional $10 fee you can opt for a reserve tasting consisting of three exceptional reds from their stated “Outstanding 2005 vintage.” These reds consist of the oak aged Merlot, Cabernet Franc and Cabernet Sauvignon 2005 vintages. Yummy! During the warmer months you will certainly want to pack a picnic basket and commit yourself to the relaxing and accommodating patio area. There are also several picnic tables in the lawn area that are perfect locales for enjoying fine nibbles and Piedmont’s hand-crafted wines while enjoying the tranquil country surroundings and the two calming ponds. 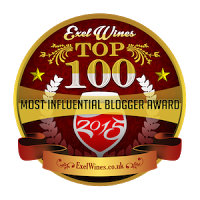 I’m Dezel, see you on the Virginia Wine Trail !